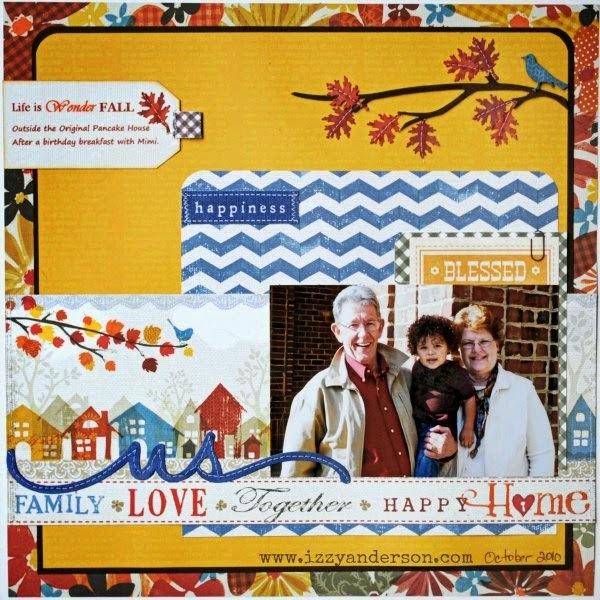 Autumn photos are some of my favorites to scrap. I love working with the deep, warm colors and the pretty patterns of Fall collections. On this layout, I decided to bring in some denim blue to an otherwise gold, orange and rust palette. I really like the contrast. 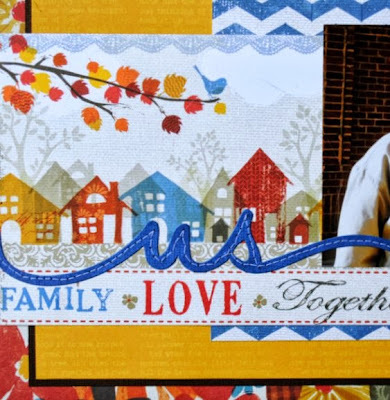 These patterns are from Little Yellow Bicycle's Feels Like Home collection, which was included in the October kit from My Creative Scrapbook. Love this kit! The chipboard branch was included in the kit. I added some punched leaves from patterned paper, stitching them down, and a little blue bird. 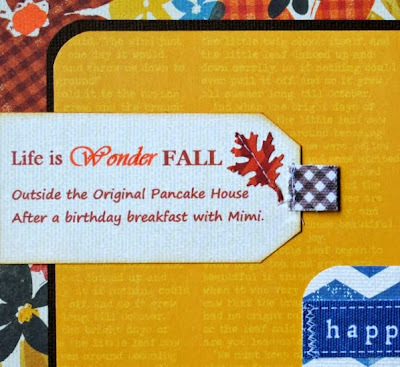 I printed the journaling on paper included in the kit, ran it through the printer, then cut it in the shape of a tag. I added a punched leaf and a gingham tab. The photo is of my parents and my son. I'm so blessed that my parents live nearby and dote on my little one. It's a joy to witness that relationship. It reminds me that life is indeed wonderful. Love the mix of papers you used on this page, Izzy. The blue is definitely the perfect accent color. 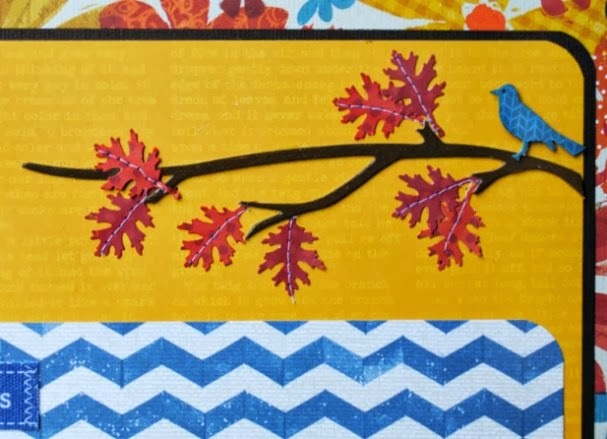 Love how you embellished the tree branch with the punched leaves and bird! This is gorgeous!!! I loveeeeeeeee the colors and that title work!!!! super pretty..love the mix of colors! Yes, the blue looks great with the autumn colors! Really great page, Izzy! Love how you mixed these colors, and I agree that the Denim Blue, adds just the right touch of contrast with the Yellows and Oranges! I love Fall photos and these colors too! Beautiful!